President Maithreepala Sirisena says that if there are weaknesses in the 19th constitutional amendment process, he is prepared to make necessary amendments protecting the essence of democracy and what it entails in accordance with legislative processes. The Supreme Court today extended the interim order, which suspended the Gazette on dissolution of parliament till December 8. 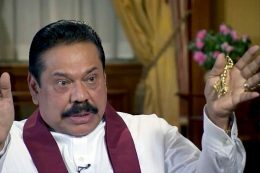 According to Mahinda Rajapaksa the reason behind the instability in the country is the suspension of the Cabinet of Ministers including the Prime Minister. He mentioned this at a discussion held with lawyers last evening (05). 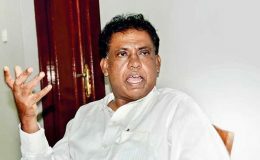 General Secretary of the United National Party Parliamentarian Akila Viraj Kariyawasam charged that President Maithripala Sirisena on several occasions rejected many Cabinet papers over the past three years on development projects which were due to be implemented by UNP Ministers. 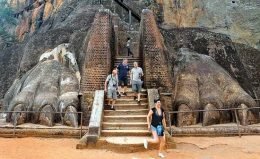 Sri Lanka’s travel industry is starting to suffer the fallout of a political crisis in the middle of its peak tourist season, as uncertainty prompts cancellations by both business and leisure visitors. Former Northern Provincial Council member M. K. Sivajilingam stated that his party is willing to support a political organization which promises to fulfill their political needs. 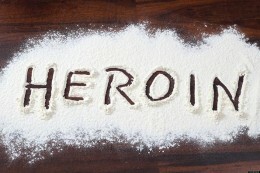 Two suspects were arrested with heroin valued at Rs.2778 million by the Police Narcotics Bureau (PNB) today at Beruwala. 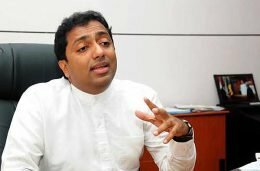 The 13 petitions filed against the dissolution of the Parliament will be taken up for hearing today before the Supreme Court for the third consecutive day. The Attorney General yesterday informed the Supreme Court that it has no jurisdiction to entertain petitions questioning the conduct of the President, as such the dissolution of Parliament by him under Article 126 of the Constitution. 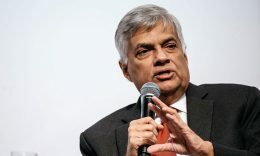 UNP Leader Ranil Wickremesinghe yesterday stressed the need to establish a new Parliament, scrapping the Executive Presidency through a referendum. 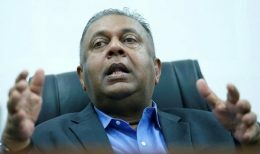 Although over 48 hours have been passed after issuing an Interim Order preventing the functioning of the Prime Minister and the Cabinet of Ministers in the purported Government, no action has been taken to establish a Government, Parliamentarian Mangala Samaraweera said.